I am always one of the first in line to defend the sport of running when some ill educated person wants to start spouting off the common “running is bad for you” misconceptions. I come armed with facts and peer reviewed articles that state otherwise, and proudly preserve the reputation of the pastime I love the most. 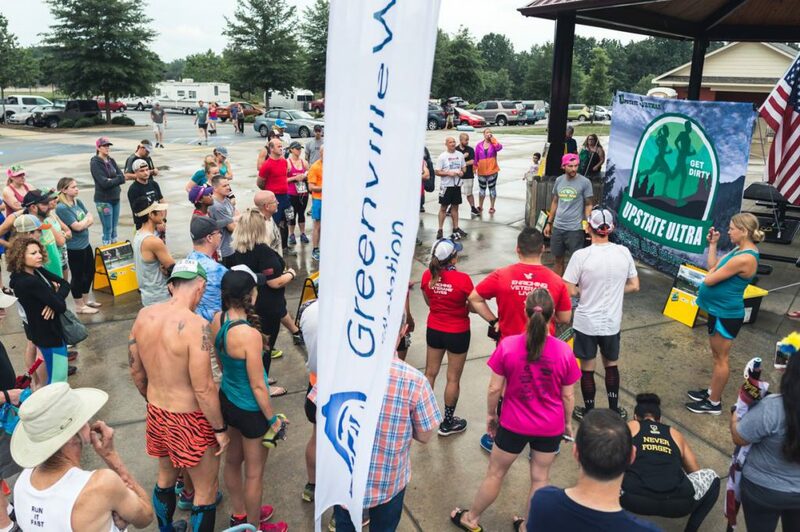 But when it comes to ultrarunning? Well the naysayers aren’t necessarily wrong. The extremes of ultrarunning are not necessarily good for you, and in fact, can often be damaging. I don’t need a research article to back up the fact that staying on your feet for 100 miles or more goes beyond the threshold of “healthy” diminishing returns. But if you’d like to read some abstracts, headover to pubmed.gov and type in a few keywords. My favorite result? The only thing I can compare this mess of emotions to is pregnancy. I find myself teary over happy things. I find myself teary over sad things. I, the person who previously didn’t give one second of attention to the Royal Wedding, found myself crying while reading a story about a rescue dog on death row who is now living in Kensington Palace. I also picked this time, post race, to finally face the fact that my first baby is graduating from 5th grade, AND going to his first school dance all in the same week. Forget Tailwind, I might need Kleenex to sponsor me this week. I’m sure there is some sort of hormonal imbalance going on. I’m sure it’s also directly related to missing a few nights of sleep. The fortunate thing is, I recognize these out of control emotions as a side effect of running really far, and I’m able to laugh at myself when the tears start welling up. After some races, I find myself so sore I can hardly sleep. Others? Barely a limp in my stride. This week after 90 long miles, I was hardly sore, and able to get up and down off of the floor with personal training clients (I like to count and coach at plank level) without any issues. Despite any soreness, the important thing here is to remember that on a cellular level, there is indeed damage, and your body is still trying to recover. It’s absolutely imperative to allow your body the time to recover and rebuild regardless of how “good” you feel. Monday morning I walked into work only to be met with a lot of questions and comments from my boss, fellow employees, and clients that included math. I tried my best, but even I laughed when I said to my boss, “hold on, I’m going to need a calculator for this” (I believe the problem was “100 divided by 4”. Where’s a 3rd grader when you need one?) Fortunately I work in a gym, so all parties involved were completely accepting of my delayed delirium due to excessive physical activity. Point being: your brain may be fuzzy, especially if you missed a significant amount of sleep during your race efforts. You may forget things, from simple words to perhaps even important appointments. (Yes, I accidentally stood up a client this morning. Fortunately, she too was at the race this weekend, and is an incredibly understanding friend.) Give yourself a little bit of a break, and really make an effort to catch up on sleep. I’ve been pretty fortunate thus far in my ultra running career in the “feet” department. Other than what I think is some sort of nerve issue or potential morton’s neuroma that shows up sometimes past 60+ miles, my feet typically handle ultras like a pro. No swelling, no blistering, none of that. However, 48 hours after the race, while making fun of my husbands now swollen feet, I look down at my own only to be bewildered by the sight of puffy toes and skin taut from fluid retention. 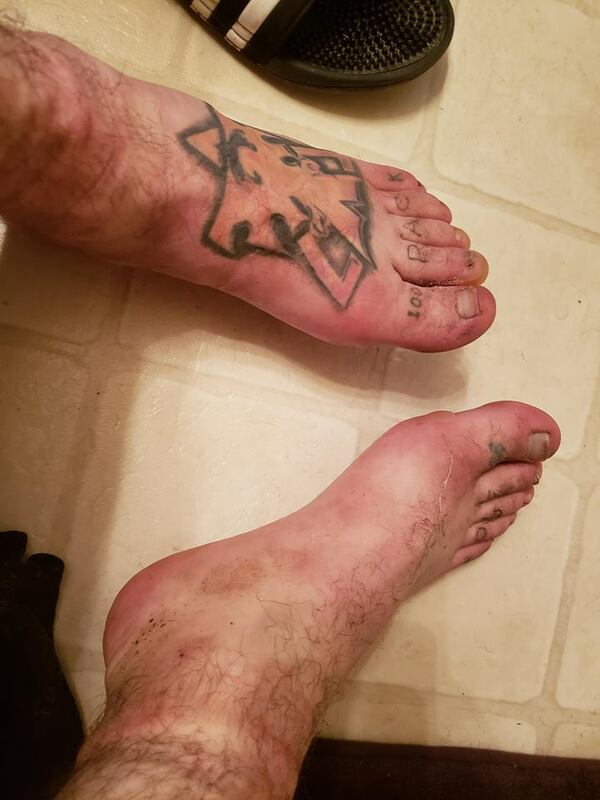 Post 100 mile feet (not mine). Hydrate, stretch, elevate your feet and legs, ice, compress…do all of the thing typically recommended to stave off swelling. 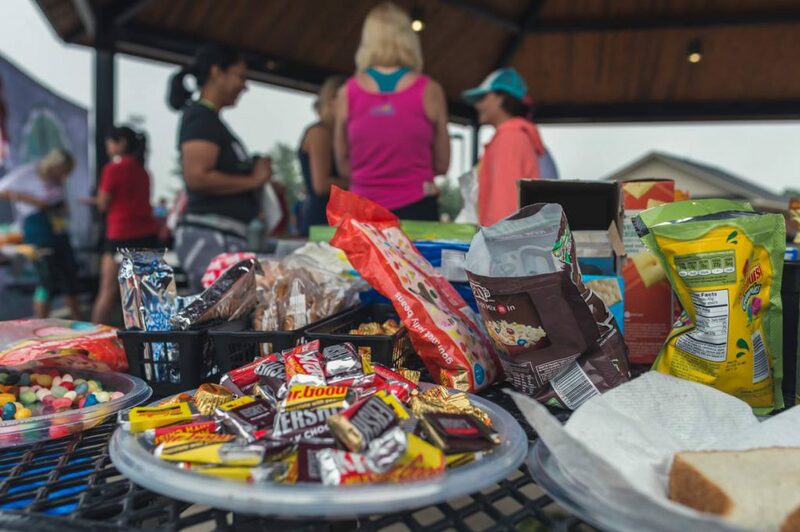 One would think that immediately after running 50, 75, or even 100 miles, that the first thing you would want to do is shove as much food as you possibly can into your starving grocery hole. For me- and many other runners – the opposite is true. It takes me a solid 24-48 hours to work back up to a healthy appetite. Maybe my body is rebelling for all of the Tailwind and watermelon I insisted it digest while bouncing my digestive system across 27 hours of trails. At the 48 hour mark (usually): watch out. I become absolutely ravenous, and no food is safe in the house. Hell, I might even drink some more Tailwind (kidding, but the Honey Stinger chews are definitely not off limits). Typically, I give myself a few days to eat whatever I want, making sure that most of the food choices are moderately healthy. Then, I have to purposefully slow my roll…or I’ll be using the excuse “I just ran an ultra” for the rest of my life. When you spend 24-48 hours at an event where your sole purpose is to cover a ridiculous number of miles, surrounded by friends and family who are either doing the same or supporting you in your efforts, it can be really hard to adjust to life back in the the real world. A world where people cannot relate to your recent accomplishment, nor do they even want to. 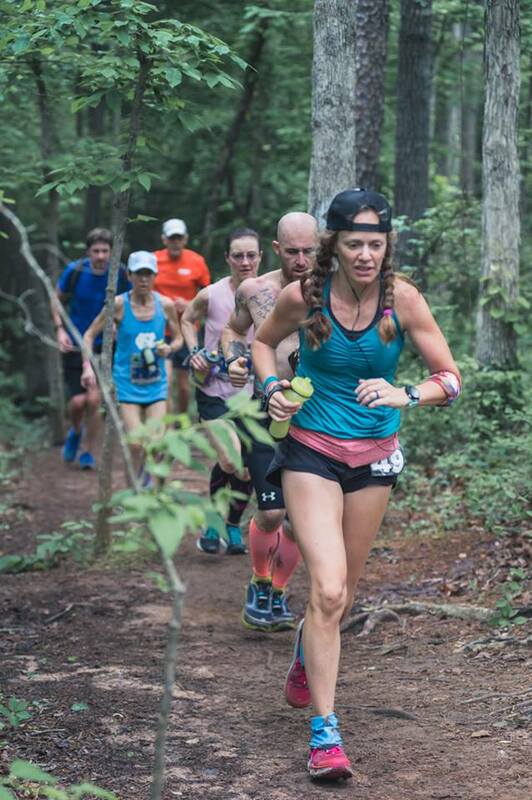 “The world feels soooo insanely loud and hectic and superficial after all those woodsy hours of alone time in your own head.” says ultra runner Katie Connor. These people. They get it. For many, post race depression is a very real concern. In fact, when I polled ultra runners, asking them to list the most unexpected post race symptom, most of them listed depression. Think about it, you spent months training for this event, and now that it’s over, you feel as though there is a giant void in your life. 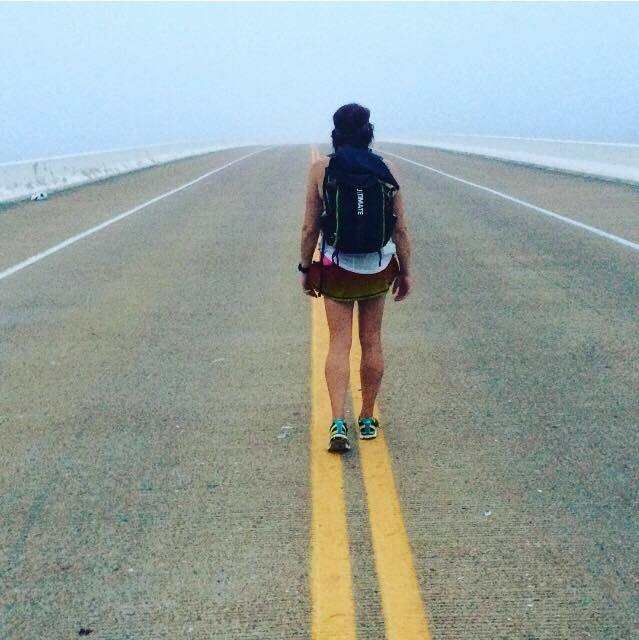 Tasha, 112 miles into the 314 mile Vol State Run. Desire to Run – or Not Run. After some races, I find myself almost immediately itching to get back out there and run, knowing that I should take a few days off. Other times? You couldn’t pay me to run. And I’m not alone. 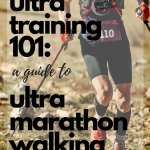 Do not be frustrated if you feel zero desire to run for quite awhile after an ultra. Your body and mind just went through an incredible feat. The desire will come back when the time is right. In the meantime, find other ways to occupy your free time. There is a whole world of other hobbies and fitness methods to be explored! The physical stress your body has undergone during your race can absolutely compromise your immune system, leaving you vulnerable to viruses or illness. Keep this in mind, being extra careful to eat immune boosting foods, avoiding places where you may be exposed to excessive germs, and getting plenty of sleep. You know, all of the things your mom would tell you to do to avoid “catching a cold”. 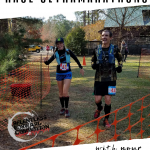 Ladies: the hormonal imbalance that can happen as a result of the extreme emotional and physical stress of an ultramarathon can absolutely have an effect on your menstrual cycle. Some women report missed periods in the month or two after an ultra, while others experience spotting or early bleeding. While this is not out of the ordinary, it is certainly something that should be discussed with your doctor if it becomes a chronic issue, or is accompanied by excessive bleeding or cramping. Another random ailment: “I couldn’t eat (after my ultra) because solid food hurt my mouth.” says Steph Dannenberg, “My only conclusion is the air breathing in for longer periods at force causes epithelial cells or lining of the mouth to shrivel up and die.” Surprisingly, a half dozen other runners responded to her comment and said this happened to them too. Other symptoms runners listed included: night sweats, sore throats, swollen lymph nodes, restless legs, hemorrhoids, and inability to sleep. As always, if something appears “not quite right”, do not hesitate to visit your physician. As you can see, there is no shortage of ways an ultra marathon can beat up your body. Of course, adequate and proper training can certainly help minimize many of these symptoms…sometimes. Some recoveries are easy, while some are significantly more difficult. At the end of the day, if you ask any runner if the ultra was worth it, I’m almost certain they’d all reply with a resounding YES. 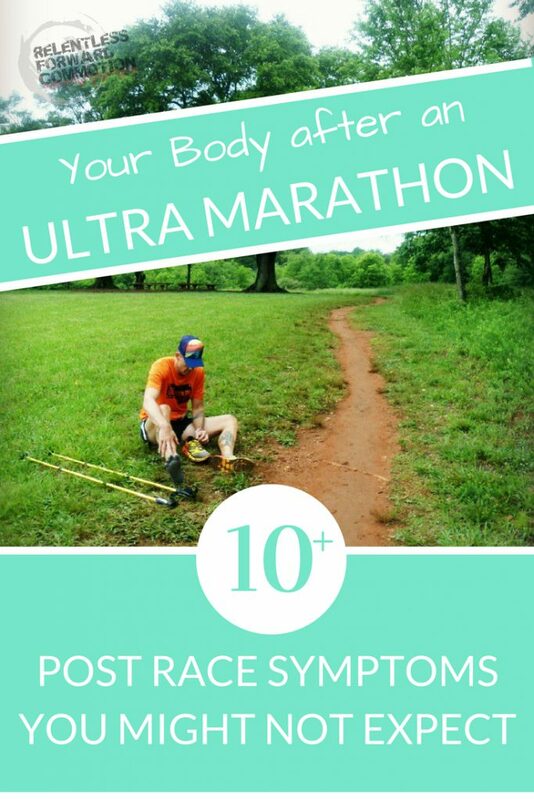 Readers: what were some unexpected post race symptoms you experienced after your ultra? Leave us a comment below! 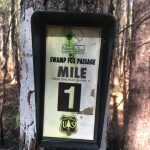 I had ZERO appetite after my first 50K. For weeks. It was insane. Things that always taste good (pizza! fries! ice cream!) were just not appealing. It was really disappointing because I was looking forward to eating all the things for a few days. I’m a fellow MediaVine blogger and found your site in the fb group when you mentioned you had an ultra running site. 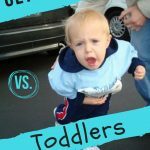 So I am new to your blog and reading some of your articles. I’m not new to running or to marathons but am new to ultras. I’ve done 2 50 milers so far. 48-hours after my first 50-miler, and I have very little interest in eating and have to force myself. Can’t recall this ever happening for marathons or 50 Ks. I usually eat like a (vegan) pig.had to laugh about your comments regarding Tailwinds and watermelon! 30 miles in, I couldn’t take another ounce of Tailwinds, by the way. But, Coke, which I normally despise and hold in contempt, was the magic elixir (at least until the race was over). Thanks! 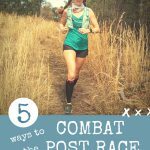 I have run several ultras over the last 5 years, up to 100mile distance. I am not a very good trainer, and hence I find I need to draw on mental reserves more and more to finish or to hit my time goals etc. Since starting, I find my emotional balance is a bit fragile. Not that I will burst into tears or anything, but I can very easily conjure up the emotional stress of pushing through those bits that you want to quit on. I can trigger them myself, and I find small events – like my childrens successes and failures, can make me well up. 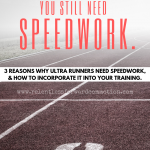 I have never been an emotional person at all, until I started running ultras. The only times I remember tearing up are 1. when I saw my wife walking down the aisle, and 2-4 when my kids were born. These days I can tear up watching “frozen”. The only thing I can really liken it to is like my ’emotional dam’ is fuller all the time. I don’t have any other ‘symptoms’, either physical or mental. I’m curious if this is something that other people have experienced, and whether anyone knows of the root cause? This was very enlightening. Thank you! For me it has always been loss of appetite with nausea. For days maybe weeks!